US equity indexes closed significantly weak, sp -38pts at 2430. The two leaders - Trans/R2K, settled lower by -2.4% and -1.8% respectively. 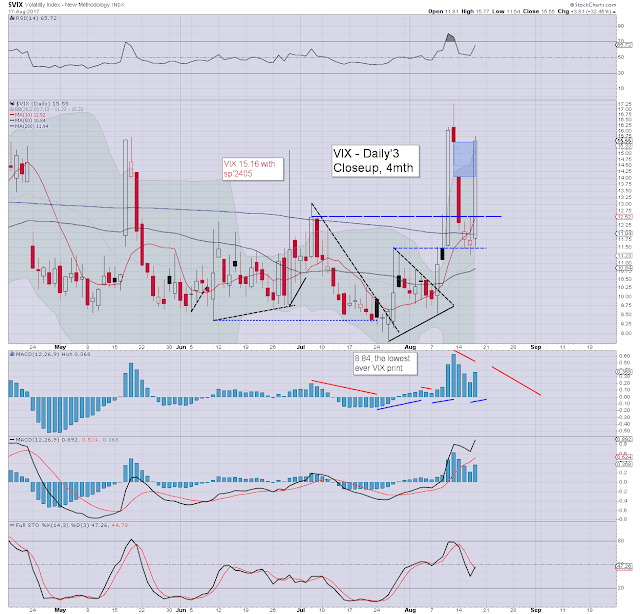 VIX settled +32.4% at 15.55. Near term outlook offers some weak chop, before building a floor into the opex-weekly close. 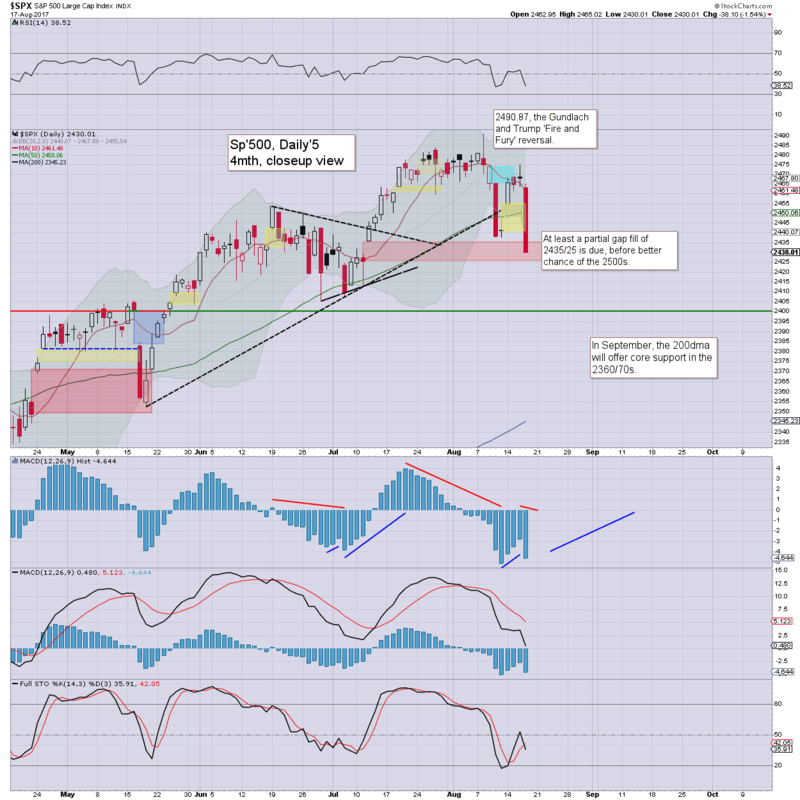 More broadly, the 2500s still appear highly probable into September. US equities opened moderately weak, and after a few micro swings around 10am, saw increasing downside, all the way into the late afternoon. Last week's low of 2437 was taken out, and that resulted in the market finally trading within the July 12th gap zone of 2435/25. 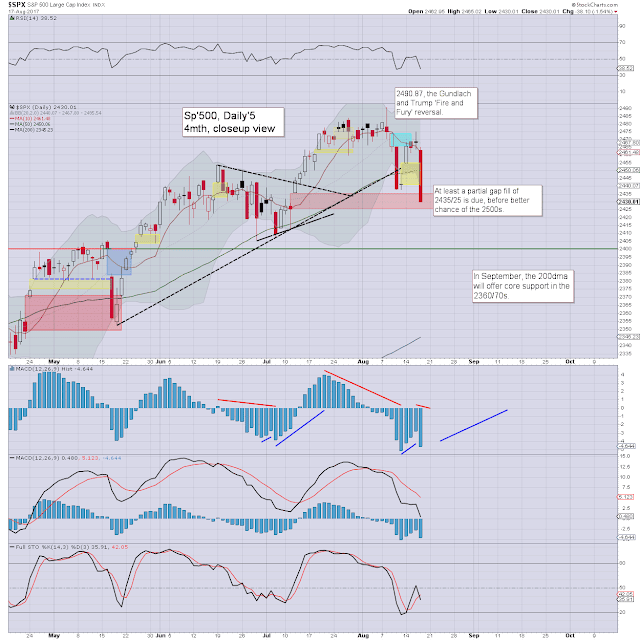 Note how yesterday saw a black-fail doji candle... a warning of trouble. 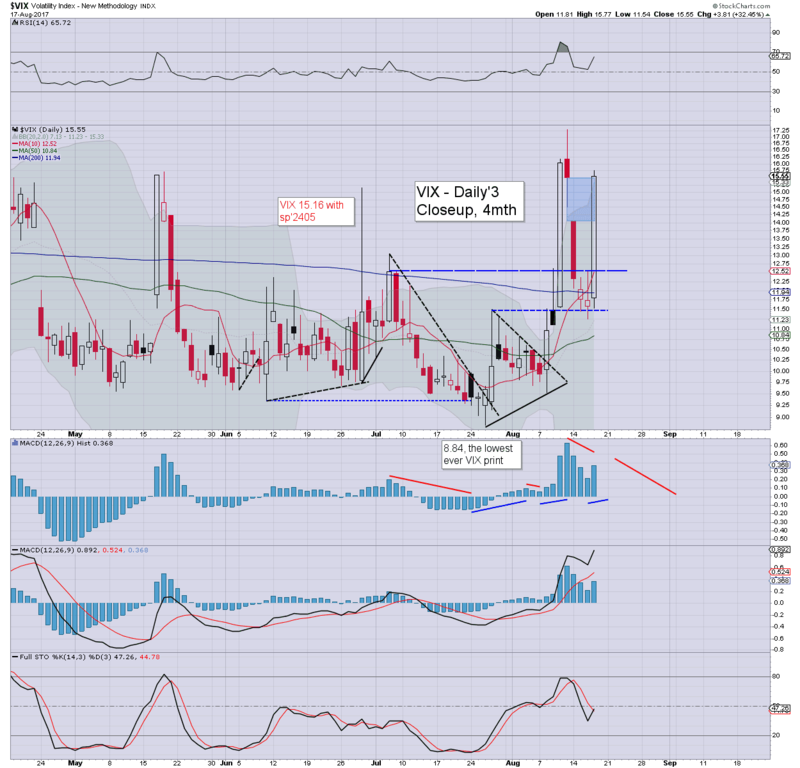 With equities on the slide, volatility picked up, with the VIX settling in the mid 15s. Note how the previous two days saw hollow-red reversal candles... a warning of upside, and fully confirmed today. Equity bulls should be seeking the market to floor no lower than sp'2425, with a notably divergent lower VIX high (<16.66). The outlook for next week would only be bearish if VIX printed above 16.66 at any point during Friday, and/or, the sp' settled <2425, both of which seem unlikely.